The Department of Inspection for Environmental Protection announced that it had seized a monkey, of the Japanese macaque species, that was being kept in unsuitable conditions, Belgrade based television network N1 reported on Thursday. As the environmental protection department stated, the confinement of wild animals, which includes primates, is limited to zoos, shelters and scientific institutions. Croatia’s Croatian government raised the VAT rate from 13 to 25 per cent for restaurateurs on Thursday, much to their disagreement. The government maintained the 5 per cent VAT rate for bread, milk, medicines, books and orthopedic equipment, due to the advocating of the junior government partner, the Bridge of the Independent Lists, MOST. NATO's Commander for Europe Curtis Scapparotti said in Sarajevo last night that Bosnia and Herzegovina will now need to decide whether to hold a referendum on NATO membership. After meeting with presidency member Mladen Ivanic and defence minister Marina Pendes, he commented that Bosnia had made good progress towards requirements for joining NATO. Comments that Albania’s Prime Minister, Edi Rama, made against newly elected US president Donald Trump while he was still just a candidate for the post sparked debate in Albania’s parliament on Thursday. Opposition MP Astrit Patozi considered it a gaffe on Rama’s part, while the Prime Minister claimed that his opponents were unfairly trying to proclaim him as an enemy of the US on the basis of his comments in favour of Democratic candidate Hillary Clinton during the US election. 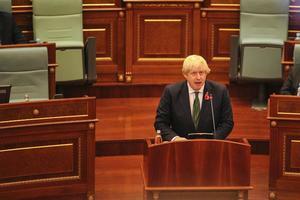 Addressing the Kosovo Assembly in the capital Pristina on Thursday, Britain’s foreign secretary Boris Johnson called for Kosovo and the UK to unite in their efforts to combat their shared challenges of terrorism, violent extremism, organized crime and corruption - as well as the “problem” he believes the UK has with ethnic Albanian criminal groups. “In the UK, we have a problem with ethnic Albanian criminal groups and should cooperate to fight this problem," Johnson said. The Croatian parliament’s committee on information, informatisation and media agreed upon naming Blago Markota as the acting head of the public broadcaster, Croatian Radio-Television, HRT, after a public tender failed to determine its new chief. 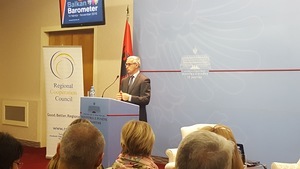 Corruption is considered one of the biggest issues of growing importance for people in South Eastern Europe, according to the results of the Regional Cooperation Council’s 2016 Balkan Barometer public opinion survey, presented on Thursday at Albania’s Ministry of Foreign Affairs in the capital, Tirana. Revealing the results of the survey, which questioned 8,000 people and 1,800 companies, Secretary General of the Regional Cooperation Council, Goran Svilanovic, stated that 27 per cent of people surveyed named corruption as one of the region’s main issues, which was up from 15 per cent the year prior. “Respondents’ answers indicate that they are willing and ready to act to stop corruption, but the majority of them believe that their government is ineffective at fighting corruption,” Svilanovic said. The Serbian Assembly has ratified the agreement on the establishment of the Western Balkans Fund, which is intended to further promote EU integration in Albania, Bosnia and Herzegovina, Montenegro, Kosovo, Macedonia and Serbia by financing small and medium projects aimed at boosting regional cooperation in areas such as education, environmental protection, human rights, culture, cross-border exchanges and youth cooperation, Belgrade-based television network N1 reported on Thursday. However, members of the opposition argued that establishing this fund is a step towards Serbia recognising Kosovo as an independent state. Two Macedonian citizens suspected of Islamic radicalism have been arrested as part of a regional anti-terror sweep in Kosovo, Albania and Macedonia which began on November 4, Macedonia’s interior ministry said on Thursday. The head of the Bureau for Public Safety, Mitko Cavkov said that the two young people, one from the capital Skopje and another from the nearby village of Aracinovo, were arrested on suspicion of planning terror attacks and of being part of a pro-ISIS group. Cavkov revealed no further details about the alleged planned terror attacks. According to the Vice President of the European Parliament Ulrike Lunacek, the border demarcation agreement between Kosovo and Montenegro could possibly be renegotiated if the two Balkan countries agree to take that step, she stated on Thursday in Kosovo’s capital, Pristina. 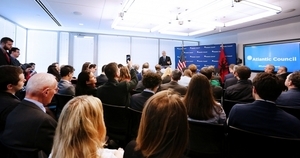 Answering a question during a press conference on Thursday afternoon regarding if Kosovo and Montenegro can renegotiate the border deal, Lunacek said: "They can try to do it. In that I cannot promise anything, but you [Kosovo] have to find a solution [to reaching an agreement on the border demarcation issue]. So I don't see it at the moment, but if your [Kosovo] government and Montenegro’s government try to move something, they can do it, and then we [the EU] will see." 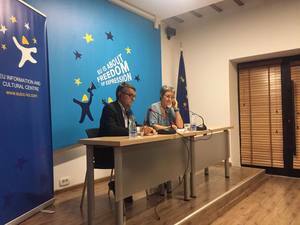 Lunacek also urged Kosovo state officials to work on fulfilling two criteria it needs to meet for visa liberalization to be granted: border demarcation and improving the fight of organised crime and corruption. One worker was killed and five others wounded when a hydrogen valve exploded late on Thursday at an oil refinery at Ballsh in southern Albania. Fifteen employees were working at the Ballsh refinery at the time of the blast. Workers at the refinery have protested several times in recent months about problems with their salaries. The Bosnia-based education organisation Bosna Sema, which has been under pressure for alleged links to the movement inspired by exiled Turkish cleric Fetullah Gulen, has announced its sale to an American firm "US Global Invest LLC". Bosnia Sema, which operates several schools and a university and Bosnia, came under pressure after July's attempted coup in Turkey was linked by the Turkish president to Gulen. #Montenegro only moderately affected by violent extremism, but no country is immune to such dangers, hence more prevention efforts are key! 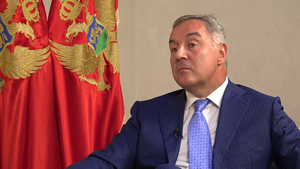 Serbia has deported a group of Russians suspected of involvement in a coup plot in neighbouring Montenegro, the Guardian has learned, in the latest twist in a murky sequence of events that apparently threatened the lives of two European prime ministers. 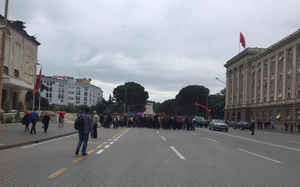 The plotters were allegedly going to dress in police uniforms to storm the Montenegrin parliament in Podgorica, shoot the prime minister, Milo Ðjukanović, and install a pro-Moscow party. Diplomatic sources told the Guardian the Belgrade government quietly deported the Russians after the intervention of the head of the Russian security council, Nikolai Patrushev, who flew to Belgrade on 26 October in an apparent effort to contain the scandal. The country’s interior minister, Nebojša Stefanović denied the government carried out any deportations connected to the plot. A source close to the Belgrade government said Patrushev, a former FSB (federal security service) chief, apologised for what he characterised as a rogue operation that did not have the Kremlin’s sanction. Montenegrin PM Milo Djukanovic. Photo: BIRN. After Donald Trump’s victory in the US presidential elections on Tuesday, online travel site European Best Destinations is using the surprise result as a way to capitalise on the market of Americans disappointed with the result, calling them to fly out to Croatia’s capital Zagreb, along with other European cities such as Milan, Brussels and Vienna among others. Of destinations in the Balkan countries, Montenegro’s historical coastal town of Kotor is also mentioned. 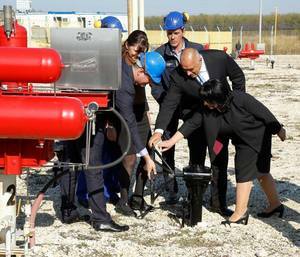 The intersystem gas link between Bulgaria and Romania has been officially launched on Friday, although gas won’t start running through the 25-kilometre pipe until the beginning of next year, Bulgaria’s energy minister Temenuzhka Petkova announced on Friday. The Interior Ministry of Bosnia’s Serb-dominated entity Republika Srpska has filed ten criminal complaints against Croatia between 1996 and 2010, accusing military officials from the country of committing war crimes during its military operations in Bosnia in 1995, the ministry’s spokesperson, Mirna Miljanovic, told media on Friday. Alongside Croatian Army officials, former members of the Bosnian Croatian Defence Council, HVO, are also currently under investigation for these complaints, which include accusations of war crimes committed against civilians during the ‘Storm’, ‘Maestral’ and ‘Juzni Potez’ (‘Southern Strip’) military operations, as well as along the Petrovac road in western Bosnia. The reports were filed to the Bosnian Prosecutor’s Office, which is further investigating the complaints. 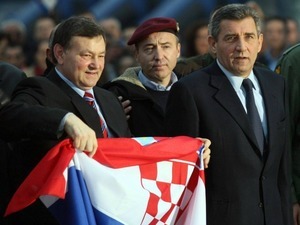 It was also reported on Friday that Croatia’s Vice-Prime Minister, Damir Krsticevic, and retired general Ante Gotovina are among the 16 former high-ranking Croatian officers that were accused of committing war crimes in Bosnia during the 1990s conflict. Prime Minister Isa Mustafa during a visit to Pristina on Friday. The focus of Hahn’s visit - his first to the region after the EU adopted its enlargement package - was the launch of the European Reform Agenda. Hahn also meets the vice president of European Parliament, Ulrike Lunacek, with all Kosovo’s political party leaders to discuss the need to overcome the political crises in the country.